"Bush has secretly visited Baghdad in a thief-like manner, stayed for two hours only, and left with a high beating heart. While Powell secretly arrived in Baghdad on what was described by news agencies to be a surprise visit, many Iraqis were expecting that he would come to Iraq. They were even expecting possible routes he would follow to reach Baghdad. One possible route was for him to risk a frightening spring-like landing in Baghdad airport to avoid resistance fire, which has hit many military and planes during landing or taking off. "A second possibility was to arrive in special military plane in a US military base. But who can assure Powel that the resistance would not fire a few rockets to the base at the time of landing? Another one is for him to travel to Baghdad in an old car to avoid any attention. "What matters here is how US officials would run and keep in physical touch their scores of thousands of men in Iraq without risking being hunted down by resistance fighters? " Iraqi Moslem religious leaders and authorities strongly condemned the bombings near churches in Baghdad and Mosul yesterday. The Association of Moslem Ulama ( Scholars) denounced the bombings and described them as part of a general foreign plan to kill Iraqis irrespective of religious or ethnic affiliation and spread anarchy and chaos in Iraq. Sheikh Mohamad Bashar al-Faiydhi, spokesman of the Association said, "these explosions were carried out by external bodies because no Moslem, especially Iraqi Moslem, could ever do this. Iraqi Christians are our brothers and partners in the land and homeland. They, like almost all other Iraqis, stood against occupation." Grand Ayotallah Sistani's office lashed out at the parties behind these explosions and called for all Iraqis to cooperate to confront this vicious plan to spread conflict and chaos among Iraqis. Iraqi Patriarch Deli, head of the Babylon Chaldean Church in the world called for Iraqi Moslems and Christians to cooperate in facing the dangers facing the country. "Attacks on our churches are obviously part of the US occupation to destroy Iraq through encouraging Pro-Iran terrorists in the pro-occupation militias to carry out ethnic cleansing terrorist attacks on Christians in Basrah. "In all Iraq's history, Iraqi Christians were attacked twice: in 1933 under British occupation and now under US occupation." "Occupation forces and their agents, the Iranian-sponsored Badr militia and Mossad, have done it once again by targeting places of worship and this time those of our brothers, the Christians. Earlier they had targeted Moslem Shiite and Sunni gatherings and dignitaries. "Organized militias linked to occupation are responsible for these crimes. We and the honorable Iraqi armed resistance, which is fighting for the liberation of Iraq and Iraqis and building up a democratic free Iraq for all its citizens, strongly condemn these cowardly criminal acts against our Christian citizens. And now they are attacked under US occupation. The Minister of Culture in the US-installed interim Iraqi government admitted that his ministry has not been allowed by occupation forces to enter into the famous historical (archaeological) city of Babylon and does not know what a Halliburton subsidiary company, KBR, is doing in its digging and building activities inside the archaeological city of Babylon. The minister, a leading Communist --formerly Moscow line--warned that the presence of 'multi-national' forces in the city poses a great danger to the site He asked them to end this presence immediately and give the site back to Iraqi authorities. He said: "The mere presence in the archaeological city of these forces with their heavy vehicles and their activities cause damage to the site." The minister admitted that his ministry does not even know the volume of damage caused by these forces military presence inside the historical city. WHY is Mr. Minister in Allawi's sovereign Government? "Because, we and our experts are not allowed to enter into the site, nor any other place. But we received information that damage was caused to some archaeological buildings including the fall of the ceiling of Nanma temple and some walls in temple Nabu", said the Iraqi Minister of Culture. He added that he had " earlier met with former US Governor, Bremer last June and asked him to withdraw forces from the city and hand it over to the Iraqi Archaeology and Heritage Authority. An order was issued to stop any works there but nothing took place and they are still going on." Iraq interim minister explained that: "There are particular daily activities and works, of which we know nothing, by contractors for KBR company near the Babylonian Palace. Moreover, there are the military activities including moves by Military helicopters. All this has led and will continue to cause damage to the archaeological city." He called for immediate halt of all these works asserting : " we can no longer Ignore what is happening in this city, especially since the damage inflicted on the city maybe so serious that it could never be repaired." Eyewitnesses said the archaeological city, controlled by Polish occupation forces, has been the scene of heavy military moves, especially by the Helicopters and heavy vehicles, which led to cracks and collapse of certain parts of the southern palace of Babylonian famous king Nebuchadnezzar. Iraqpatrol.com commented on the ministers' statement saying if the Interim government cannot get foreign troops out of the small city of Babylon, how could it get them out of the whole country? American occupation forces arrested Dr. Muthana Harith al-Dhari , member of the Association Iraqi Moslem Ulama ( Scholars), editor-in-chief of its weekly paper al-Basaer, and son of Sheikh Dr. Harith al-Dhari, Secretary general of the Association. The arrest took place yesterday evening immediately after he finished an interview with LBC Lebanese TV in which he asserted the Association's decision to boycott a ' National conference' for being an illegal product of illegal occupation. Al-Jazeera TV quoted Sheikh Dr. Mohamad Bashar al- Faidhi, spokesman of the Association as saying the arrest is a demonstration of the US occupation's oppressive measures and a form of punishment and pressure on the Association by the American occupation authority for boycotting the US- inspired conference. He called on US forces of occupation to release Dr. al-Dhari immediately. Sheikh Dr. Jawad al-Khalisi, Secretary General of the Iraqi National Constitutional conference, and head of the Khadimiya Shiite religious university condemned the arrest, saying that Iraqis thought they got rid of an unjust regime only to find themselves under an unjust, dictatorial and oppressive one. Arab political parties and representatives of Moslem groups in the Arab world now meeting in Beirut, have condemned the arrest, saying that this incident came amid a growing campaign of oppression against the Iraqi people by US occupation forces and their installed government. Arab and Moslem Parties referred to the arrest of Sheikh Moqtada al-Sadr's aid in Karbala, the arrest of thousands of other Iraqis, and the disbanding of the Iraqi Lawyers Union and to the US air raids on Falluja, stressing that all these acts underline the desperate attempt by US occupation forces to shore up their occupation in the face of mounting heroic resistance. They also said these arrests and oppressive measures undermine the slogans of freedom and democracy voiced by Americans in invading Iraq . The Saudi regime backed down on their proposal to send Arab and Islamic troops to Iraq to join US-led occupation forces and amended it in a way that will never be accepted by the United states. The new amendment was announced by Saudi foreign minister after talks with Amro Mosa, Secretary General of the League of Arab States, who is not for sending Arab troops to Iraq under occupation. This change in the Saudi position came after many Iraqi political and religious anti-occupation groups voiced their rejection to the proposal. The Iraqi resistance vowed to fight against any such troops in the same manner as they fight against US occupation ones. 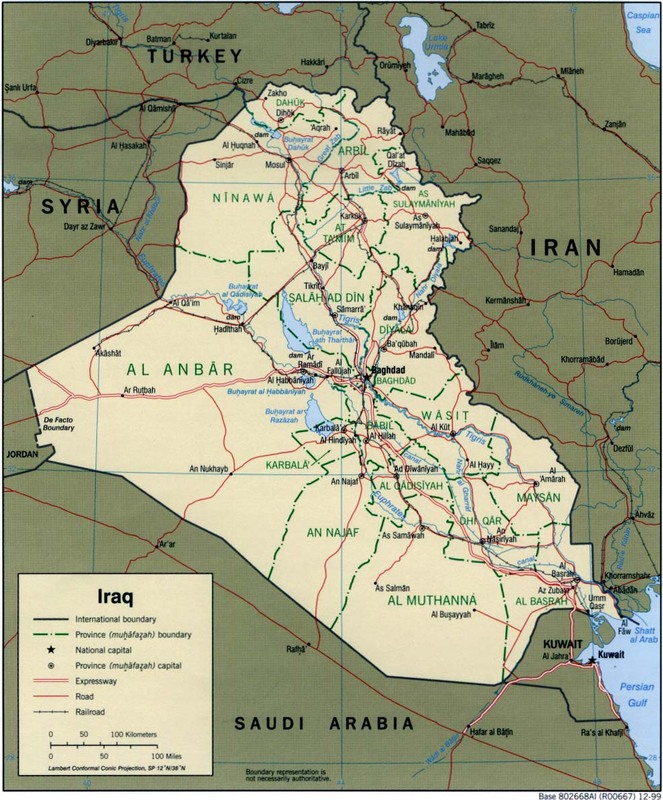 Most big Islamic countries, such as Indonesia, Iran, Malaysia, Yemen, Libya, Algeria have also stressed that they would never send troops to Iraq. d. They should only be sent in response to a formal request by Iraqi government and with acceptance of most of Iraqi people strata. "It also reflects a real desire on their part to extend assistance to President Bush in his presidential election campaign. "The United States is unquestionably exerting heavy pressure on its allies in the Arab world to salvage its project in Iraq. Therefore, it has chosen the Saudi government to spearhead its salvage plan because it's the weakest Arab government, and because it has a huge income after oil prices rise. "It's not a coincidence that the Saudi initiative was announced after the sudden attack by the Iraqi provisional Minister of Defense on Iran…. By attacking Iran, Allawi's government wants to achieve two aims: to gain Arab legality … by alleviating Arab regimes' fears of Iran's growing influence in Iraq; and preparing for US plans aimed at targeting Iran in the near future on account of its nuclear programme. "A Jordanian official told al-Hayat daily, "Jordan is very worried at the possibility of terrorists' controlling the security situation-which poses a great threat to the interests of the Kingdome and its promising relations with Iraq. "He added that contacts between Jordan and several Arab and Islamic countries made it clear that Iraq's neighbors have to shoulder their responsibilities towards Iraq because the terrorist trend which sweeps through Iraq will affect the whole region and may spill into neighbors. "This means that Jordan's government would send troops to Iraq to combat terrorism, that is resistance, and to prevent it from reaching Jordan. "Sending Jordanian troops to confront terrorism in Iraq will definitely backfire. It would transfer terrorism into Jordan…and resistance would move to neighbors if they choose to fight on the side of US forces. Jordan is a poor country whose main asset is stability and security. Any condition of instability would lead to a total or partial collapse of the economy. After all, Zarqawi is Jordanian and the vast majority of Jordanians support Iraq's resistance and are opposed to the US project of the occupation of Iraq. "The same applies to Saudi Arabia, which suffers a collapse of security and a civil war. It would be pure stupidity on the part of Saudi rulers to support US designs on Iraq and offer more ammunition to Jihad groups, which accuse the regime of blasphemy, treason and servitude to America. "Iraqi Moslems both Sunnis and Shiites have warned that they would consider those forces part of occupation and vowed to fight them . "Can these regimes be oblivious to the possibility of an insurgency among those solders whereby they join Iraqi resistance?" Where is the US Headed? The Iraq War in Cartoons!